MALIBU MEDIA, LLC ("X-ART"), STRATEGIES AND SETTLEMENTS. MALIBU MEDIA, LLC (“X-ART”) LAWSUITS, STRATEGIES, SETTLEMENTS. I have added this page for internet users who have been entangled in the Malibu Media, LLC (“X-Art”) cases. Malibu Media, LLC is an adult film / pornographic film producer, and they sue individual John Doe Defendants for the bittorrent download of “siterips” based on their demographics in federal courts across the US. The goal of this page is to keep up to date on this plaintiff, and to discuss their various cases. Should you learn of any updates regarding one of their cases, please post it here using the following format — (e.g., “Malibu Media, LLC v. John Doe subscriber having IP address 182.765.456.844 (Case No. 7:12-cv-03812) filed in the U.S. District Court for the Southern District of New York”). Please also feel free to post new cases you find where Malibu Media, LLC is listed as the plaintiff. Below is a good starting point to understand who Malibu Media, LLC is, and why you are being sued. For a more in-depth article on the Malibu Media, LLC copyright trolling scheme, visit the “EVERYTHING YOU NEED TO KNOW IN ONE PAGE ABOUT YOUR MALIBU MEDIA, LLC (‘X-ART’ SITERIP) MOVIE LAWSUIT AND ISP SUBPOENA” article on my Cashman Law Firm, PLLC site. WHAT IS MALIBU MEDIA, LLC? 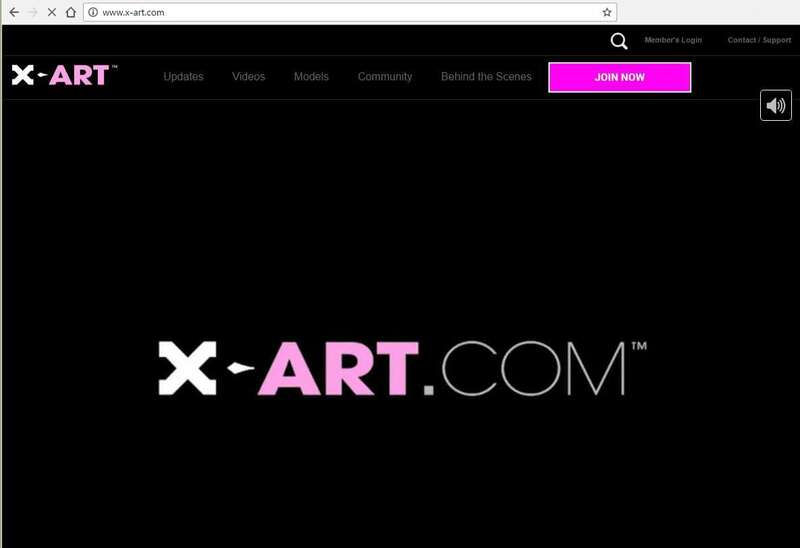 Malibu Media, LLC is the company filing the copyright infringement lawsuits for the “x-art.com” adult film website. Since 2012, Malibu Media, LLC has flooded the federal courts over 6000+ copyright infringement lawsuits based on bittorrent downloads of their adult film movies. Each lawsuit sues for the illegal download of one film, but alleges that the defendant downloaded 20-80 additional titles. They seek $150,000 in statutory damages for the download of that one film. Malibu Media, LLC is notorious for accusing downloaders of downloading “siterips,” where an internet user clicks on one (1) bittorrent file, but within that bittorrent file are 20-80 additional videos. People claim that Malibu Media, LLC is ‘leaking’ and uploading these siterips themselves, and then tracking the bittorrent swarms to see who downloads them. What is Malibu Media’s affiliation with Guardaley? Malibu Media, LLC has been intimately associated with a German company called Guardaley to track their bittorrent swarms and provide so-called forensic “evidence” in the many lawsuits. Guardaley is a questionable company and their tracking methods have been discredited by the German courts. Guardaley is known to claim that an accused defendant downloaded an entire file (or a set of videos) as soon as he or she clicks on the bittorrent file and loads up the bittorrent software (before even a byte of data is even downloaded). Many accused defendants that I have spoken to claim that they never finished any of Malibu Media, LLC’s downloads (yet they were sued anyway). How does Malibu Media, LLC choose which downloader to sue? Once a Malibu Media, LLC identifies a downloader, they continue to track that downloader over the course of months. Lawsuits are filed against downloaders based on the geolocation of where the accused downloader apparently lives. MALIBU MEDIA USES INCOME DEMOGRAPHICS BASED ON ZIP CODE TO DETERMINE WHO TO SUE. Malibu Media has been known to check the location of the IP address against a list of zip codes, and compare those zip codes to demographic income information and home property values within those zip codes. Poorer communities generally are discarded, and wealthier communities end up prioritised and sued. The reason for this is that wealthier professionals have larger bank accounts, more assets, larger families, and are likely professionals and specialists within their trade, meaning that they are more apt to settle a lawsuit filed against them for the download and viewing of pornographic materials. How much does Malibu Media, LLC ask for in a settlement? In a settlement negotiation, Malibu Media, LLC knows that copyright holders traditionally ask for $3,500 for the download of one title. They also know that settlements can be anywhere between $1,500-$1,800 once negotiated by an attorney. For this reason, they start their negotiations at $1,500 PER TITLE when they are called by an accused defendant. Thus, an accused downloader who was claimed to download 20 titles should expect an initial settlement offer of $30,000 ($1,500 x 20 = $30K; an obscene number). As soon as an attorney opens up settlement negotiations, Malibu Media, LLC is known to immediately drop the settlement asking price to $750 PER TITLE (they refer to this as ‘minimum statutory damages,’ which multiplied by the number of titles they ask for in a settlement results in an obscene settlement asking price). From there, we would normally determine 1) whether to settle or fight the case based on the merits of the lawsuit (many of my clients simply do not do the download), or 2) whether to negotiate down from there. Malibu Media, LLC settlements, with some tweaking of the settlement agreement during the settlement negotiations can be an anonymous settlement. There are a small number of settlement factory attorneys who are advertising and advocating “anonymous settlements.” Buyer beware, as settling anonymously in the way they suggest can expose you to additional lawsuits, AFTER you have just paid Malibu a settlement. Click here to read about “Malibu Media anonymous settlement, a misnomer,” written on 7/23/2017. How our Cashman Law Firm, PLLC uses LEVERAGE to minimize the settlement amount. Because we are willing to fight each case on the merits (remember, Malibu Media lawsuits are based on Guardaley tracking methods, which are faulty), we do have leverage to negotiate the settlements down to something significantly more reasonable. Up front, I do not encourage settlements nor do I push them on clients (especially if they did not do the download), but settlement negotiations are a good tool to consider when deciding whether to proceed with defending the case in court, or whether offering a settlement can minimize the costs to accused defendants. HOW MALIBU MEDIA, LLC OPERATES THEIR LAWSUITS ACROSS THE U.S.
Malibu Media, LLC (and correspondingly, Guardaley) operates their lawsuits from one central location. They usually choose a figurehead, or a law firm to manage and coordinate all of the attorneys filing lawsuits on their behalf across the US. Until 2016, Malibu Media, LLC lawsuits were run by Keith Lipscomb of Lipscomb & Eisenberg (now defunct, I believe). After Lipscomb, they were temporarily run locally from a law firm called Pillar Law Firm, and now I have reason to believe they are apparently being run by Carl Crowell and his RIGHTSENFORCEMENT entity. WHY DID LIPSCOMB AND MALIBU MEDIA, LLC PART WAYS? The reason Keith Lipscomb and Malibu Media, LLC parted ways was because Lipscomb apparently did not pay Malibu Media, LLC the millions of dollars they made in settlements. I have analyzed the numbers and it is unclear whether the Malibu Media, LLC lawsuits were profitable for Lipscomb, or whether he is yet one more copyright troll attorney who has cheated his copyright troll client. WHERE IS MALIBU MEDIA SUING DEFENDANTS? WHAT ATTORNEYS ARE THEY USING? Malibu Media appears to be focusing their lawsuits in Texas, and the New York / New Jersey / Connecticut tri-state area. Malibu’s attorney for the Texas cases is Andrew Kumar and Michael Lowenberg of the Lowenberg Law Firm. Malibu’s attorney for the NY & CT cases is Jacqueline James. Malibu’s attorney for the NJ cases is Patrick Cerillo. For details on these three Malibu Media, LLC attorneys, click here. There are other attorneys filing Malibu Media cases across the US, and I have listed the main attorneys below. Those that file sporadically have been dropped from the list. “Malibu Media movies, and why it is important to know this list,” written on 5/5/2017. “Malibu Media Cases and Why To Track Their Monthly Filings,” written on 5/4/2017. “Turnkey ‘Settlement Factory’ Defense Attorneys and Malibu Media LLC,” written on 3/29/2017. “Malibu Media, LLC appears to be adhering to an ‘Old Guard, New Guard’ distinction between their older and newer attorneys,” written on 3/13/2017. “Confirmed: Malibu Media invests in $400 filing fees at $20,000/month,” written on 3/13/2017. “2017 Malibu Media – Where Cases Are Filed and Who are the Attorneys?” written on 3/13/2017. “Malibu Media, LLC cases facing hard scrutiny in California,” written on 12/23/2016. “Malibu Media, LLC appears to be on a $20,000/month filing budget,” written on 12/23/2016. “Was Lipscomb’s Malibu Media v. Doe campaign profitable?” written on 12/22/2016. “What happened to Malibu Media, LLC in April 2016?” written on 12/21/2016. “Is Malibu Media “faking” the publication requirement in their lawsuits?” written on 2/9/2016. “Judge rules that (Guardaley) German investigator’s evidence is insufficient to prove direct infringement” written on 7/28/2015. “My Response to the yet-to-be-written guilty verdict in the Malibu Media, LLC Bellwether Trial (PAED)” written on 6/12/2013. “Malibu Media targets rich neighborhoods, and introduces prejudicial character evidence into each case” written on 6/4/2013. “UNDER THE RADAR, 122 MALIBU MEDIA LLC ‘SINGLE-DOE’ CASES FILED,” written on 3/7/2013. “California Judge Consolidates ALL Malibu Media, LLC Cases, and WHY THIS IS BAD,” written on 7/12/2012. “(UPDATED) Forum Shopping by Malibu Media, LLC Copyright Trolls” written on 5/7/2012. “Malibu Media, LLC cases go down in FLAMES in Virginia,” written on 4/3/2012. “Malibu Media, LLC — New “Copyright Troll” on the Block,” written on 3/6/2012. FOR IMMEDIATE CONTACT WITH AN ATTORNEY: Click here for more general information about Malibu Media, LLC lawsuits, their tactics, and their strategies. To set up a free consultation to speak to an attorney about your Malibu Media, LLC lawsuit, click here. Lastly, please feel free to e-mail me at [email protected], or call 713-364-3476 to speak to me now about your case (I do prefer you read the articles first), or to get your questions answered. Attorney: Mary K. Schulz of the Media Litigation Firm, P.C. My guess is the popularity of Malibu Media among trolls is based on the fact that its owner does not give a damn about the lawsuits, lets trolls reign and and gets only 10% cut, according to No Agenda show. My assistant has compiled a list of Malibu Media, LLC cases (current as of 6/18/2012). Good idea. With over 116 cases and counting MM is a plaintiff to watch closely. It appears as if Malibu Media, Inc. has picked up a new attorney (fresh meat). It looks as if Patrick Cerillo will be trying his hand at the copyright trolling business. Just posted a new article entitled “California Judge Consolidates ALL Malibu Media, LLC Cases, and WHY THIS IS BAD.” It focuses on the consolidation of all of Leemore Kushner’s bittorrent cases in the California Central District Court. Once again, that post is here. This is insane. They are clearly trying to stall the courts for more time. I agree. And, FRCP Rule 4(m) gives judges a way to shut down these older cases after the plaintiff attorney does not name or serve defendants after 120 days, but to my utter shock, they don’t shut them down. I’m sure everyone knows that Nicoletti is a crook. Simply search “Paul Nicoletti Mortgage”: tons of information. Apparently the fraud case against him was dismissed, and probably this fact has emboldened out fraudster. Also, he is arrogant: recently IL judge Baker (no introduction necessary) unsurprisingly denied Nicoletti’s fishing expedition. And this crook had guts to appeal to the Circuit Court. Court was not amused and sent back his appeal. FYI, Malibu has filed 52 new cases in the last month: ZERO in California. This is actually big news. Does anyone know why Nicoletti withdrew from the lawsuit? DCC, I was not sure exactly what you were asking, but as far as the “exculpatory evidence” is concerned, there is a good article on the topic. Obviously let me know if I can be of further assistance. I have sent you a reply via e-mail as well. I have noticed over the past few days on rfcexpress that Malibu Media is filing single doe cases in large quantities (Illinois, Colorado, Maryland, and Indiana). Given the cost of each filing, any ideas as to what their strategy is? It looks to me to be more of the same. They have been milking their old cases for settlements for a long time now. Now they’re looking for a new batch of defendants. That’s interesting. I’ve never seen the copyright trolls file single doe cases before–I wonder if they are individually targeting does who were successful in severing themselves from other cases in the past. Do they gain some kind of advantage by going after only one doe per lawsuit? At $350 a pop, the ratio of risk to reward seems awfully low.